The Egypt of the Great Pyramids, the Sphinx, and the Valley of the Kings was an empire of indomitable might. Then, around 800 BC, the impossible happened. Kush, a subject kingdom from the south, rose up and conquered Egypt, enthroned its own Pharaohs, and ruled for nearly 100 years. 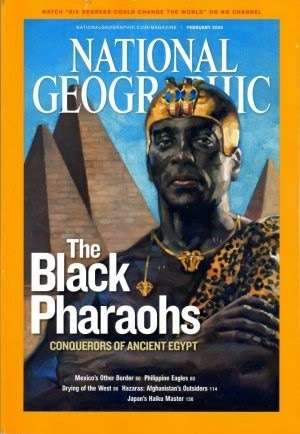 These were the mysterious Black Pharaohs of what is today Sudan—the Nubian kings—whose reign has become legendary among Africans and written off as heresy by early archaeologists who refused to believe that dark skinned Africans could have risen so high. But now, in the heart of Sudan, exciting new archaeological finds are revealing the truth about the great Kush dynasty. A sacred mountain holds the key to the Kush kings’ spiritual claim on the Egyptian throne; stunning statues are providing details about the true color of their skin and their long and prosperous reign; and a long-hidden tomb complex is shedding light on the trappings of their royalty and the extent of their empire."